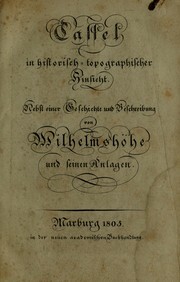 1 edition of Cassel in historisch-topographischer hinsicht found in the catalog. Add another edition? Are you sure you want to remove Cassel in historisch-topographischer hinsicht from your list? 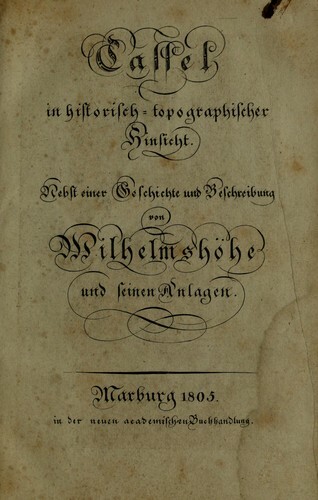 Published 1805 by Neuen akademischen Buchhandlung in Marburg . September 24, 2010 Created by ImportBot Initial record created, from Internet Archive item record.